David Milstead, a native of Mobile, has over 25 years of commercial real estate experience primarily retail and office. David has the ability to draw on his real estate experience from Atlanta and his local knowledge of regional investors, developers, tenants and landlords in order to assist with the buying and selling of property in Baldwin County. David is the Senior Director of the Commercial Division for Bellator. The Commercial Division specializes in all types of real estate including office, industrial, land and retail. Prior to joining Bellator, David started Milstead & Associates Real Estate in April of 2009. 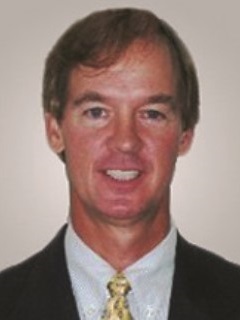 Prior to forming Milstead & Associates, David was the top producer for Cunningham, Foley & Barnes in 2005, 2006, 2007, and 2008. David was chairman of the Baldwin County Commercial Alliance in 2010. David has sold and leased over $300 million dollars of real estate properties. David specializes in land, retail, and industrial properties from New Orleans to Destin with concentration in Baldwin County. David worked with Insignia/ESG and Grubb & Ellis in Atlanta for 15 years. David worked with major corporations including Arthur Andersen, Twentieth Century Fox, Saint Joseph’s Health System, and National Semiconductor Corporation, United Healthcare Corporation, Air Touch Cellular (Verizon).